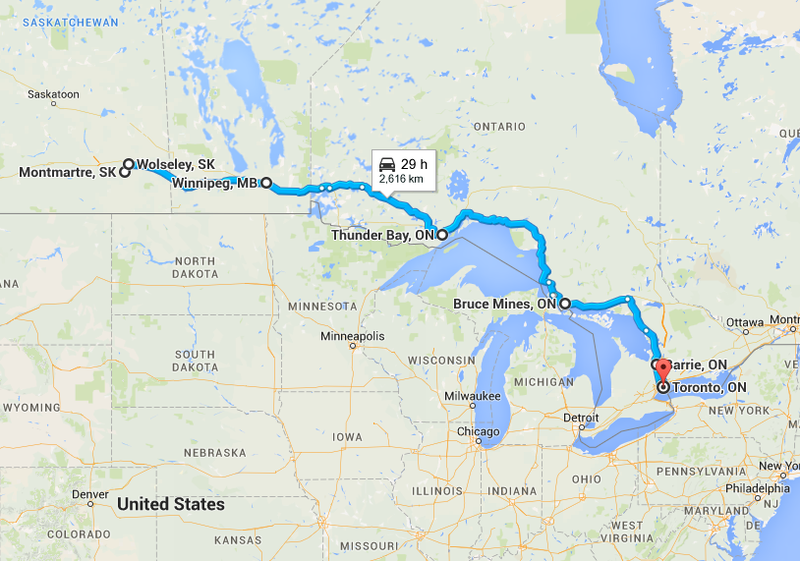 Back in Feb I posted about Write Canada and other Summer Plans including all the touristy things I wanted to do on my June trip to Ontario. Well, I'm back to tell you what I was able to do/see and what I had to miss. 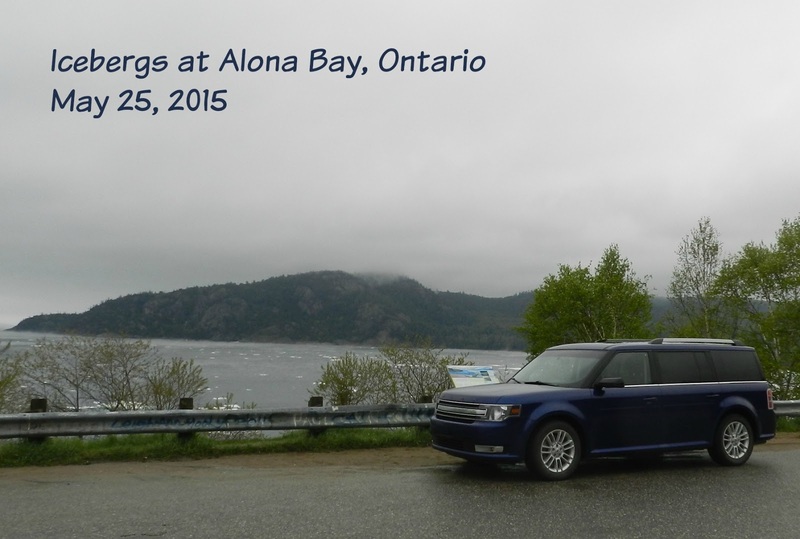 All total, I put 7,000 km (4,350 miles) on my Ford Flex without a single mechanical or tire mishap. Gas prices were cheapest here in Saskatchewan, and most expensive in Northwest and Northern Ontario, followed closely by the Greater Toronto Area. 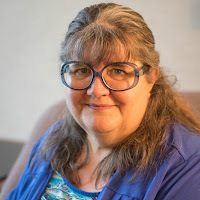 My main goal was to attend the Write Canada Conference in Toronto and hopefully win an award. I attended, but came away empty handed. 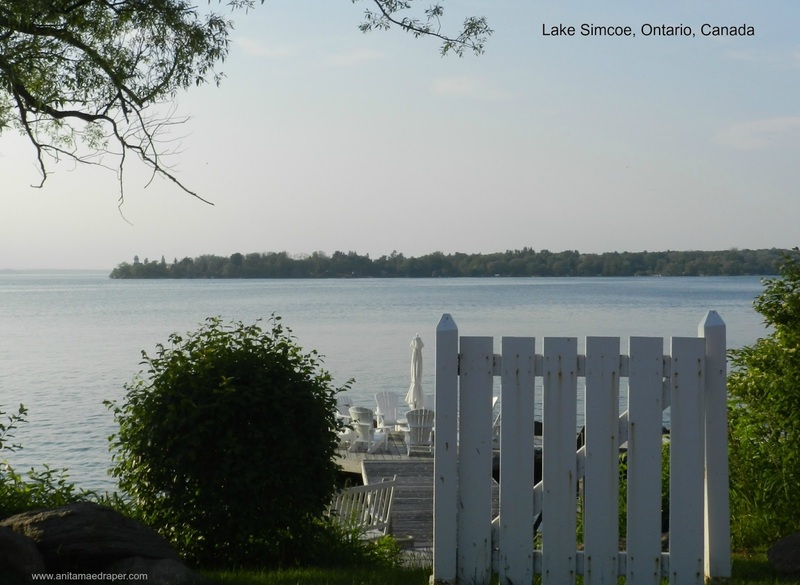 However, by skipping all the touristy things, I was able to attend the Ontario Genealogical Society (OGS) Conference in Barrie and part of that was a tour and research afternoon at the Simcoe County Archives. From information attained there, I visited area cemeteries and took photographs of headstones belonging to my husbands' family, early pioneers in the Dalston area. With the OGS conference over, I headed south and made my home base in Newmarket. From there, I travelled the main thoroughfares and backroads of Georgina and East Gwillimbury. I especially wanted to photograph the family headstones so I could use the pics on my blog and ancestry without infringing on anyone else's copyright. But that was a tall order in itself. 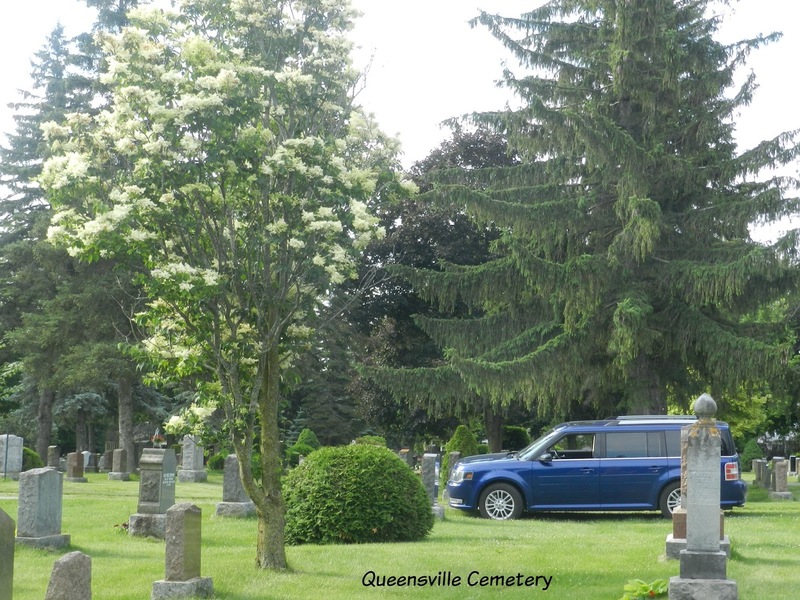 Take the Queensville Cemetery as an example... of the 1050 interments, about 300 headstones belong on the Draper family tree. And speaking of trees, everywhere I looked the French Silk lilac trees were in bloom, filling the air with their perfumed scent. In the photo above, the huge hemlock, so important to our pioneers, will be a constant reminder of my time in Ontario for we don't have them growing out here on the prairies. One day I travelled to Wasaga Beach to meet with one branch of the family and afterwards as I headed back to Newmarket, I got in behind a deuce-and-a-half with a Student Driver sign on the back. 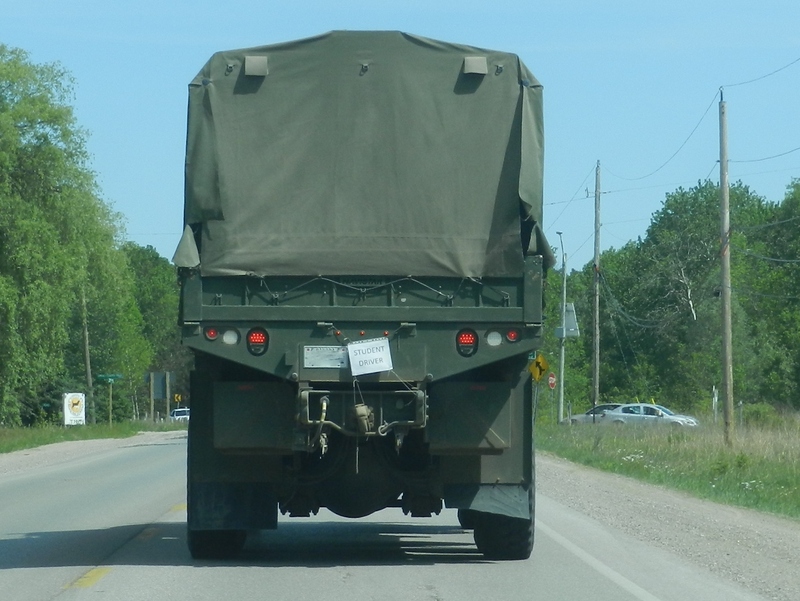 What a flashback to October 1975 when I spent 3 weeks driving up and down these very same roads while taking driver training with staff from Camp Borden. At 2 1/2 tons, the deuce-and-a-half was the largest vehicle I learned to drive, but I also learned to drive a jeep and a regular staff car which happened to be a station wagon in those pre-van days. 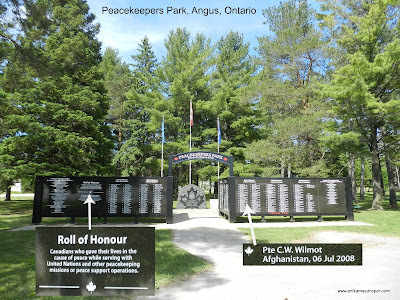 I kept an eye out for Peacekeepers Park while driving through Angus because a cousin of mine had served and died in Afghanistan back in 2008 and I'd seen pics of his name on the memorial. Pte Colin William Wilmot was a 24 yr old medic when he died after an explosive device detonated near him. Thank you, Angus Legion, for creating this memorial. Another meeting that made the trip special was visiting Myrtle Jean, a 1st cousin 1x removed of Nelson's, who had celebrated her 100th birthday just 3 wks before. I have to say that I asked many questions of life back in Myrtle Jean's day and thoroughly enjoyed our conversation. Every 2-3 days I had scheduled meetings with family members, etc, and since I had to pass the Queensville Cemetery along the way, I would stop off along the way and spend an hour or two graving - that's headstone hunting - and I'd quit when my knees and back hurt too much to continue. Even so, I wasn't nearly done by the time I had to drive back home. Most headstones face east because people are buried with their feet facing the east. And then there's the Holborne-Glover Cemetery with the Glovers on one side facing off with the Holborne's on the other. What's even funnier is that about 99% are in hubby's family tree. 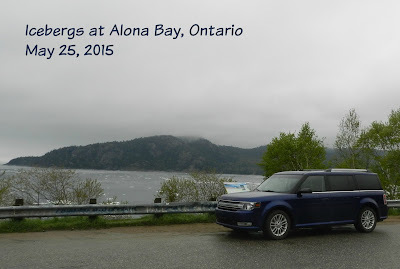 I drove along Lake Drive on the southern shore of Lake Simcoe while travelling to cousin Dee's house. 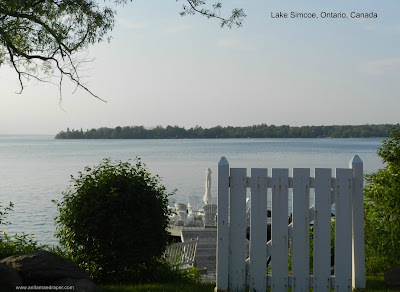 As I drove, I took pics of the lake as well as the range of residences lining the road, dreaming of a time when I'll get to relax on a lakeside dock, sharing time and memories. 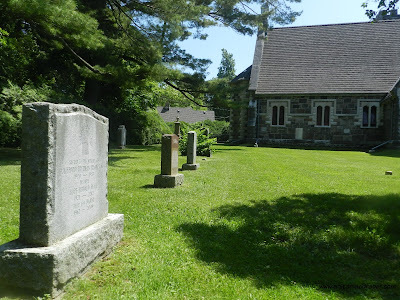 I visited St Georges church in Sutton where an episode of Murdoch Mysteries was filmed, and took many photos including those pertaining to the headstone of my husband's 1st cousin 1x removed, Cliff Thompson, his wife Hope Sibbald Seale, and their son, Danny. Now that I have my own photos, I need to go to my post, Murdoch on Location in Georgina, and update the images. Two full days of research kept me at the Georgina Pioneer Village & Archives where curator, Melissa Matt, called me a sponge for soaking up everything she put in front of me. Thank you, Melissa and girls for helping me with my research. You are a treasure! Several more days were spent at local libraries where I devoured local history books, bound newspapers, microfiche, etc. On the whole, I thought the libraries were very good except for one librarian who insisted I use the modern name of Town of Georgina when referring to the old township of North Gwillimbury. I said that all the history books haven't changed because we have to use whatever name it was at the time. She didn't seem to understand and still insisted I refer to it by its new name. Since it was soon apparent that I knew more about the local history of the area than she did, I decided she just wasn't into history and left it at that. The tools I used to capture photos and documents while on this trip were my Samsung Galaxy tablet for the bigger ones, and my FlipPal 5"x7" scanner for the smaller stuff. I am so thankful I have these, an I can say that several people were amazed at the portability and ease of the FlipPal. I was gone for 35 days and it went by too fast. Like I said earlier, I didn't get all the graving done that I wanted, but I had to hurry home for a deadline and work must come first. So, what are your summer plans and do you think they'll turn out the way you planned? your research and photography skills always amaze me. I love how you present material. it's always educational and so cool to read. i'm looking forward to seeing the fruit of your labors. Thanks, Deb. It was hard choosing because I took so many pictures while there. Did you happen to see the photo I posted on my FB author page on July 2? Seeing Nelson's headstone like that was a quick jab to my heart, I tell ya. What a great trip! So many headstones. I'd love to do some field research of our families. Tari, I think the hardest part is picking a starting point and then researching as much as you can online. Then organize it and get out there. My biggest error was not researching locations along my route. I'd pass a town out in the boonies and a tidbit would jiggle my brain. Later, I'd find out that members of the tree were buried there, but I'd passed on by. And I was too much in a rush to check it out on my return. If you do get out there for field research, let me know, okay? I'll help any way I can.